i will never get tired of fresh fruit just picked off the tree. 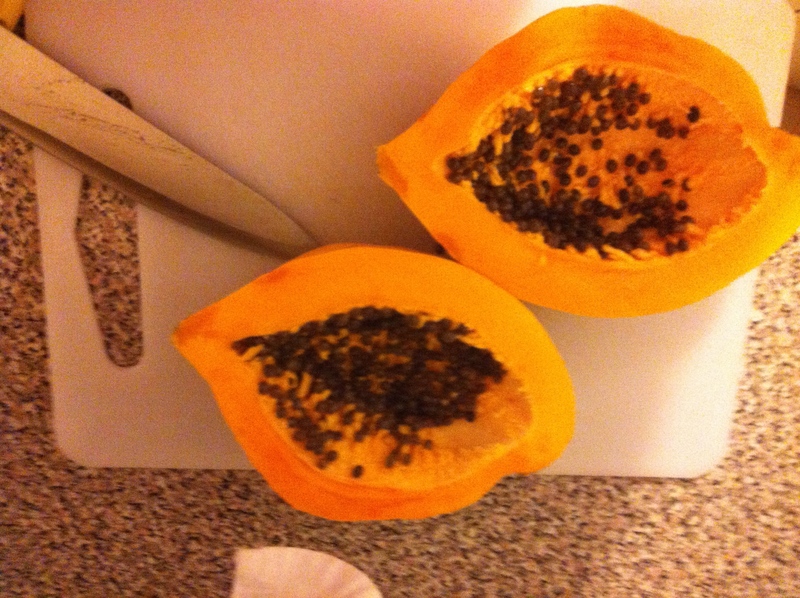 Right now it is mango and naseberry season and this is a giant papaya. Lots of healthy sugars.